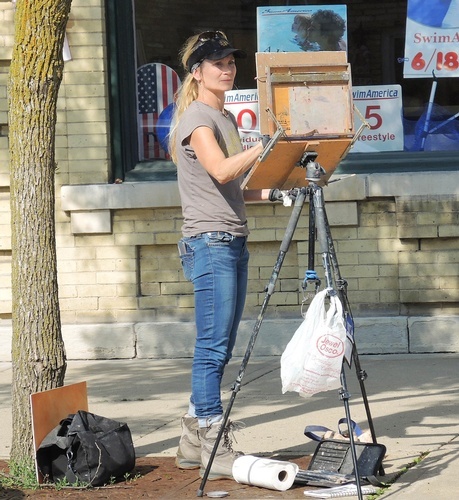 Cedarburg Artists Guild will host the 19th annual Paint Cedarburg event, June 1–8. Recognized as the largest gathering of artists in Wisconsin, 150 nationally recognized and local artists leave the comforts of their homes to spend a week painting outside…rain or shine. Plein Air, a French term meaning “in the open air,” describes art works painted outside with the subject directly in view rather than in a studio. Plein air artists capture the spirit and essence of a landscape or subject by incorporating natural light, color, and movement into their works. 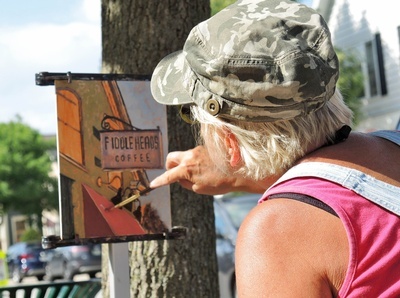 Artists flock to Cedarburg to capture the beauty of this historic town and rolling, farm-specked countryside. Artists will spend June 1–6 painting outside, capturing the environs and the changing light and shadows. Art enthusiasts can enjoy an opportunity to spend time with the artist as they work. 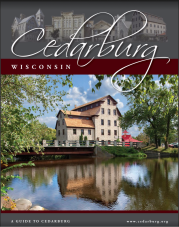 With more than 500 paintings exhibited at a variety of price ranges and subjects, Paint Cedarburg offers something for everyone. Purchase art at the Fresh from Cedarburg event and the final exhibition at the Cedarburg Cultural Center.